Society and religion go together. Religion has occupied an important place in the history of civilization and philosophy. It gives a meaning and purpose to human life and satisfies man’s longing for peace and salvation. Some form of religion existed in primitive societies. They believed in spirits, magic and images of gods and offered sacrifices to them. The basic forms of religious expression are sacrifice, prayer and ritual. Religion has been defined as “the relationship between man and the super- human power he believes in and depends upon”. According to Jakob Burchard, “Religions are the expression of the eternal and indestructible metaphysical cravings of human nature.” It includes a rule of conduct or principle of individual life on which one’s peace of mind depends. Religions offer different paths to salvation. The goal of religion is getting in tune with the infinite. Moreover, the philosophy of religion is neither ceremony nor ritual nor going to the temple, but an inner experience which finds God everywhere. Religion consists of a number of beliefs relating to a reality which cannot be demonstrated by proof, but which is an inexorable certainty to the believer. This reality induces him to adopt certain modes of action and behavior. When Guru Arjan Dev Ji (the fifth Sikh Guru) was asked as to which is the best religion in the world, he answered: “The best religion in the world is the one which stresses the power of prayer and the performance of noble deeds.” Holy living or altruistic action is the practical side of religion. « What is the place of religion in the modern age? 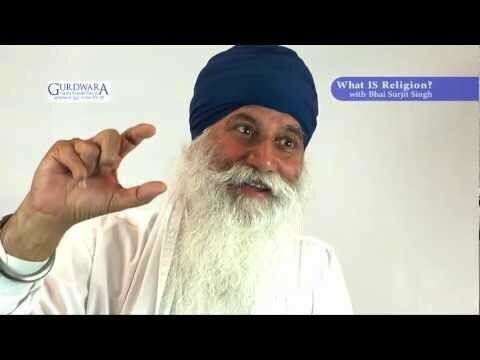 What is a Major figurehead and Personalities of the religion Sikhism?